Federal Ministry of Education announced the release of the Federal Unity schools’ admission list for the 2018/2019 academic session. Follow the procedure outlined below to access the National Common Entrance Examination (NCEE) Admission Status. Recommended: Tuition and Fee Schedule of Unity Schools in Nigeria. How to Check Federal Unity Colleges Admission List. See also: List of Federal Government Unity Schools in Nigeria. A statement released Monday evening by the Permanent Secretary, Federal Ministry of Education, Arc. Sonny Echono, explained that the admission was for candidates into the Junior Secondary School, JSS1 in the unity schools. Echono, in the statement, explained that the release of the admission list followed the 2018 selection exercise for placement of qualified candidates into Junior Secondary School One (JSS1) held recently at Owerri, Imo. He said the selection exercise employed the national merit criteria of 60 per cent, with a cut-off score of 146 and above and equality of state of 30 per cent of the colleges’ carrying capacity. Due to the effect of insecurity in the North East and North West zones of the country which affected the filling of the colleges capacity, the minister has also approved for supplementary examination to be held tentatively on 11th August, 2018, for such colleges to enable them fill their vacancies. When is the commencement time for the Entrance Exam registration into the Unity Schools and the process? Please when is the starting time for Entrance Exams registration into the Unity Schools? Will there be any supplement exam this year? Will there be any supplementary exam for this year(i.e. for 2018/2019 session? 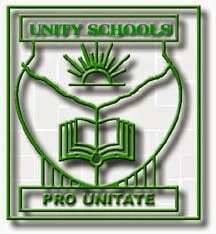 please, when will the next registration for unity school examination be for the next academic session. Trust you’re good cos your product is excellent. I’m interested in continuing study abroad. I have no funding ability. Can you please tender suggestions. Please, I will like to know criteria for giving admission to the last NCEE examination conducted by NECO. My child got 138 in the first exam. In which he went for the second interview. To my surprise he hasnt been given admission. @Mr. Oluwafemi, go to the ministry of education.